Day 1 Fly to Seattle: On arrival make your own way to your hotel. Day 2 Seattle/Juneau/cruise: Return to the airport and fly to Juneau. On arrival you will be transferred to the ship and to set sail for a week of scenic adventure. Day 3 Icy Strait/Cross Sound: Every inch of this far northwest corner is worth exploring and, if the tides are right, head out in the skiff with one of the ship's guides for a closer exploration of the rugged shore. Seals and sea lions may appear on rocky outcroppings, resting before they disappear in the water to search for food. Day 4 Glacier Bay National Park: While most visitors see the same sliver of the park as everyone else, you're exploring parts that 99% of visitors never go to. And you have three days to do it. Options include Taylor Bay sea stacks and rocky shores which make for good adventure; or hike the outwash field of glaciers winding down the Fairweather Mountain Range. If you motor over to Dundas Bay, keep your eye out for bears, humpbacks, and if you're lucky, a wolf sighting. Day 5 Glacier Bay National Park: South Marble Island is abuzz with the activity of rare sea birds, black oystercatchers, and orange-beaked tufted puffins.Tucking into silent Tidal Inlet—the stomping grounds for bears, wolves, mountain goats, eagles—the backdrop is spectacular. At the end of the western-most arm of the bay sits Margerie and Grand Pacific Glaciers, where you may catch glimpses of glacial calving. Day 6 Glacier Bay National Park: Find a perch on the bridge with your captain, or with your guides on the bow. Follow the seal barks and chatter of birds by kayak and skiff. Embark on a hike in boot-sucking mud across a glacial moraine then head up for powerful views. Back on the boat, don't pass on your chance for nge, and then beeline straight for the hot tub. Day 7 Captain's Choice: Lynn Canal or Chatham Strait? Whichever, the adventures are as big as the water is deep! 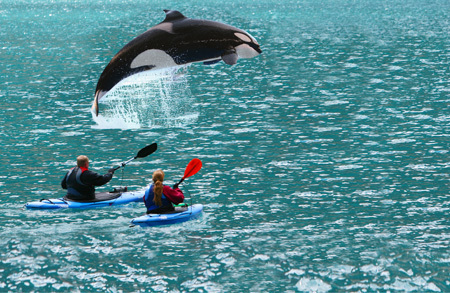 Watch for seals from a kayak; or hike into the forest of giants. Day 8 Haines: Tucked beneath snowcapped peaks, Haines has it all: hiking, biking, rafting and history. 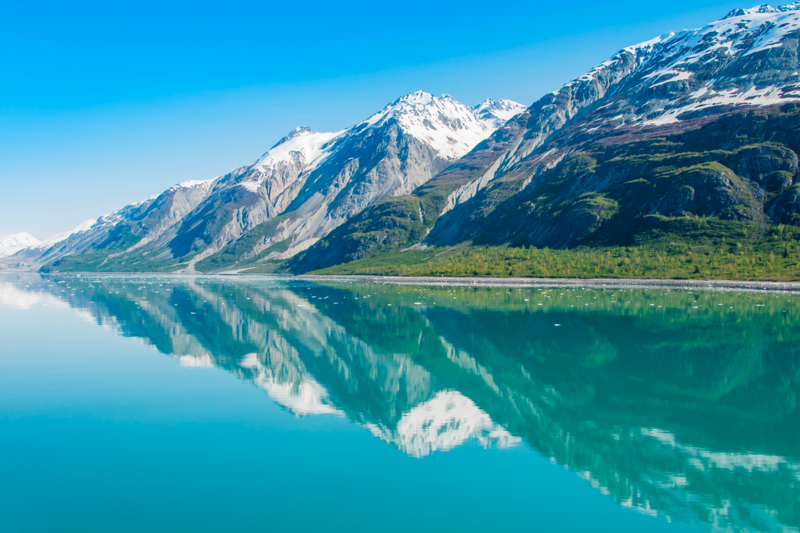 Discover irresistible trails, tales of European explorers, the Klondike gold rush and so much more. 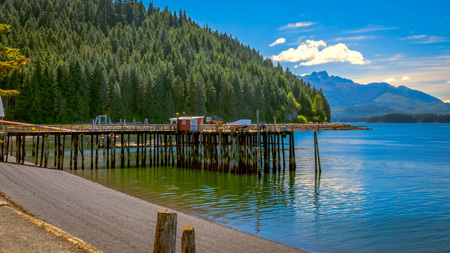 Day 9 Cruise/Juneau/Seattle: Disembark and transfer to the airport for your flight to Seattle. On arrival, make your own way to your hotel. Day 10 Seattle: The adventure ends with your onward journey. Departures: 12 Apr 19. Other dates available, which may be on Wilderness Adventurer. Accommodation: 1 night before your cruise at Warwick Seattle, 7 nights in a navigator cabin aboard Wilderness Explorer, and 1 night after your cruise at Warwick Seattle. Meals: Room only in Seattle. Full board on cruise as well as spirits, wine, beer and non-alcoholic beverages. 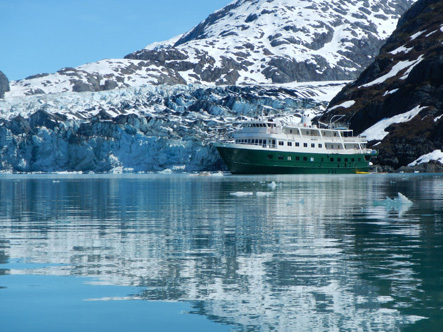 Cruise & stay price: Includes international flights between, the UK and Seattle, flights between Seattle and Juneau, transfers between Juneau airport and port, accommodation as shown above, entry fees to national parks/preserves and all from-the-vessel activities and equipment. Variations in itinerary may occur to maximise your experience. As this cruise goes into the USA, you will need to obtain either an ESTA or visa prior to departure.